If fresh water is to be treasured, the Great Lakes are the mother lode. No bodies of water can compare to them. One of them, Superior, is the largest lake on earth, and the five lakes together contain a fifth of the world's supply of standing fresh water. Their surface area of 95,000 square miles is greater than New York, New Jersey, Connecticut, Massachusetts, Vermont, New Hampshire, and Rhode Island combined. They are so vast that they dominate much of the geography, climate, and history of North America. In one way or another, they affect the lives of tens of millions of people. The Living Great Lakes is the most complete book ever written about the history, nature, and science of these remarkable lakes at the heart of North America. From the geological forces that formed them to the industrial atrocities that nearly destroyed them, to the greatest environmental success stories of our time, the lakes are portrayed in all their complexity. The book, however, is much more than just history. 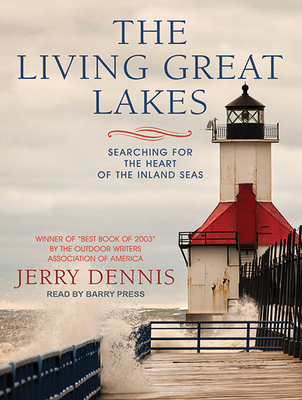 It is also the story of the lakes as told by biologists, fishermen, sailors, and others whom Jerry Dennis grew to know while traveling with them on boats and hiking with them on beaches and islands.